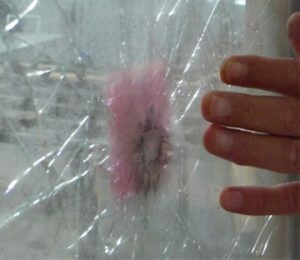 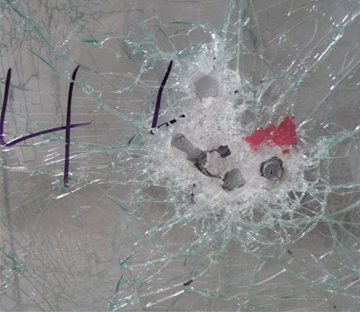 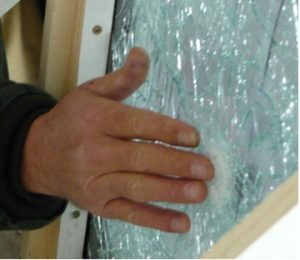 Our Bullet Proof Glass is tested in house to ensure it’s level of protection. 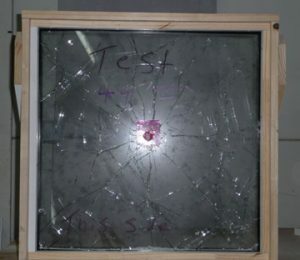 For our first test we fired a 44 Magnum from 10 feet away, as you can see there was no penetration. 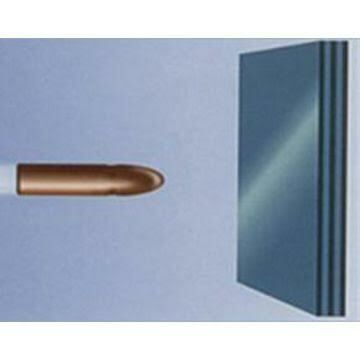 This image shows a close up view of the 44 Magnum fired from 10 feet, showing no penetration. For our second test we fired a 44 Magnum 7 times into the same hole and still no penetration. 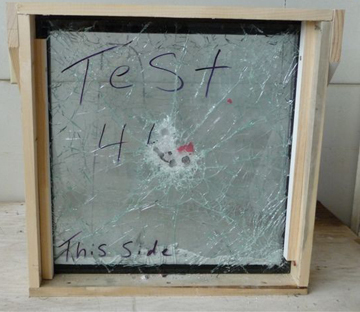 Front view close up of test 2 using 7 rounds into the same hole. 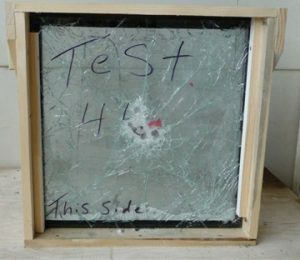 Back side view of test 2 shows no penetration, just cracking.